While high quality, valuable content is considered the surefire way to get higher rankings in search engines, it does never guarantee that searchers will click on your organic search results. The general rule says that higher search engine rankings must attract more organic traffic, but what if you don’t even get an adequate number of clicks for the pages you rank well for in Google? If you’re thinking that just tweaking the titles and descriptions of a web page on your WordPress site will dramatically boost your organic click-through rates (CTRs), then you’re absolutely wrong. In addition to Meta titles and descriptions, there are several factors that significantly affect your website’s CTR. Fortunately, all these factors are within your control and can be easily optimized to increase your organic click-through rates. 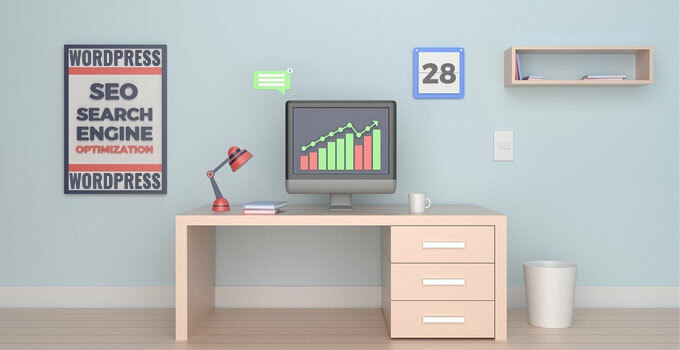 Through this blog post, we’re going to share some well-tested WordPress SEO tips following which you can easily boost your organic CTRs as well as your WordPress site traffic. The first and foremost step to improve your Organic CTR is to find which pages of your WordPress site are getting fewer clicks from the Google. To discover your underperforming pages as well as your average CTR, go to Search Analytics under Search Traffic in Google Search Console. The default view simply displays queries you rank for in the search engine along with the number of clicks received in last 28 days. Check the CTR box and you’ll see the average CTRs of your top-performing keywords for all devices. Make a list of your most endangered pages (whom CTRs is below 20%) and focus on improving them first. For a broader overview of how your WordPress site is performing in search engine results, you can even set the date range to the Last 90 days. After identifying pages on your WordPress site receiving less organic clicks, you have to carefully review their Metadata – essentially Title tags, Meta descriptions, and URLs. Remember, your organic CTR has nothing to do with how pretty your website design is, but it definitely depends on how catchy and capable the Metadata of a page is to compel searchers to click through to your website. Think of Metadata as a little piece of information telling searchers at a glance what a particular web page is all about. Everything in it must be constructed to entice searchers to click through to your website from the SERPs, from the Title to the URL to the Meta description. Create unique, keyword-focused and emotionally charged headlines, write informative Meta descriptions and keep the URLs as short and descriptive as possible. While searching for an answer in Google, have you ever seen star ratings underneath the URL of a review type web page? These are Google’s reviews rich snippets, providing searchers authentic and more valuable information about a particular product or service. Commonly used by eCommerce merchants, Google Rich Snippets have several different types including Recipes, Events, Videos, etc. Learn more about Google’s Rich Snippets here. If implemented correctly, Rich Snippets can increase your overall CTR by 30%, according to a study conducted by Search Engine Land. Although there are a number ways to add rich snippets to a website, the easiest one is through a Rich snippets plug-in in case of a WordPress-powered site. Undoubtedly, many of your blog posts would have been ranking on number one position in Google but did you know, there is a much higher and better position than the number one? Guess what is it? 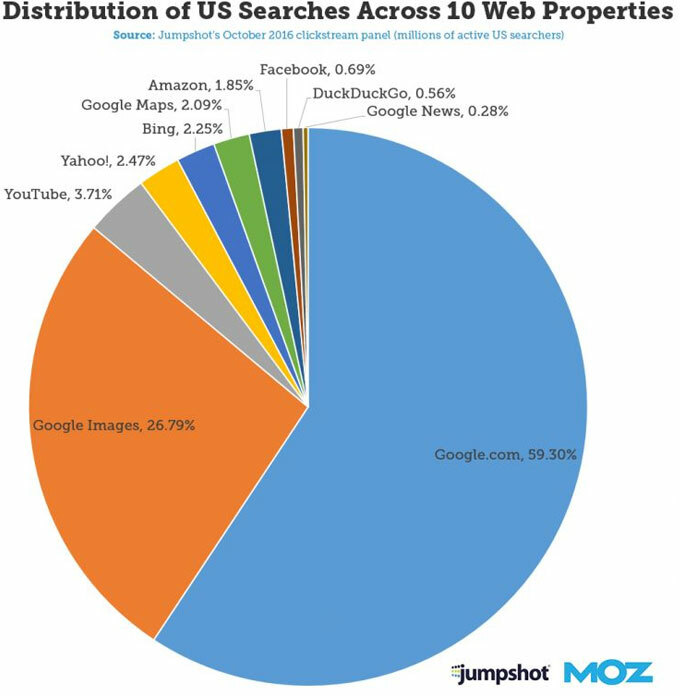 It is the position zero – which appears just above the number one position only for relevant search queries. While Featured Snippets are arguably the best way to stand out in search engine results and increase CTRs by 114%, they are often quite tricky to achieve as Google programmatically determines whether or not to display a search result as a Featured Snippet. What best you can do is to optimize all your posts for Featured Snippets and leave the rest on Google. 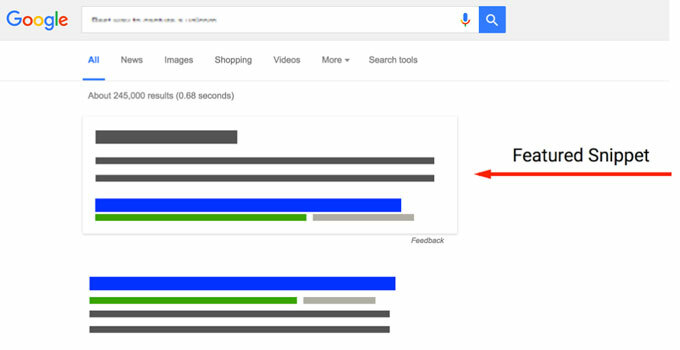 Image ALT tags: this one is the most crucial thing many people forget while optimizing their web pages for search engines. Adding relevant, keyword-rich ALT tags to your images not only makes your WordPress site more accessible and beloved to search engines, but it also helps users understand what an image is actually about in case it fails to load for whatever reason. Given the fact that over 26% of total web searches come from Google image search, tagging your images with appropriate ALT tags becomes imperative to eliminate the risk of losing out on potential organic CTR. However, to get the best results possible, you need to ensure the ALT texts includes the relevant keyword phrases for the specific page which the images are being used on. 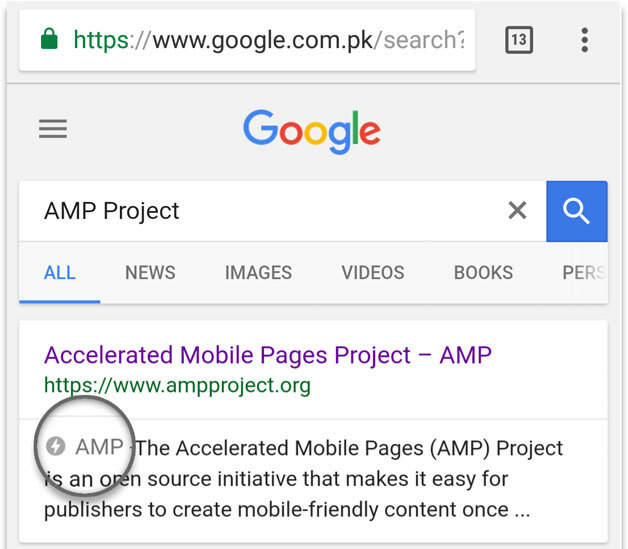 Known for their unmatched flexibility, performance, and engagement, Google’s accelerated mobile pages (AMP) are the new age technique to deliver users a consistently fast and streamlined experience specifically on mobile devices. When a searcher sees the AMP logo coupled with the three-letter acronym next to page description, he is more likely to click through to your website, which eventually improves your site’s overall CTR. After implementing the AMP, Wired experienced a considerable 25% increment in CTR from mobile search results. So if you really want to increase the organic CTR of your WordPress site, you must have to integrate Google AMP with it which can be easily done with the help of Official Google AMP WordPress plug-in built by the Automattic – the parent company of WordPress. Have you ever seen those rare “jump to” links in your search results? We bet you must have seen them on many Wikipedia results because every page on their site makes use of a well-formatted table of contents. Google randomly pulls these links from pages having a well laid out table of contents. One of the best things about “jump to” links is that they don’t require schema markup implementation. All you need to do is creating a well-structured table of contents and you’re good to go! Although there are tons of ToCs plug-ins available in the WordPress Plugin Directory, we recommend you go with this free table of contents plug-in as it is extremely easy to setup and use. There are many website and blog owners who prefer to display content publication date in search results. While this strategy definitely works for news-style websites like Washington Post and The New York Times, it can negatively affect your WordPress site’s CTRs if you don’t update your content on a regular basis. In such a scenario, removing the publication date entirely from your search results is the only and best option as a normal user usually ignores the older “dated” content. In short, you should either show updated/revised publication dates in search results or should not display dates at all for an evergreen or outdated content. In recent years, there has been an exponential growth in the number of “near me” titled searches performed on Google. Taking advantage of the geographic cues provided by the business owner to Google, these searches deliver relevant and accurate location-specific search results to users on both mobile and desktop devices. So if you want to get more clicks from users in your geographical region, don’t forget to claim your business listing on Google which is completely free. Making your WordPress-powered business discoverable and easily accessible in your local area, a Google Local Listing improves your search click-through rate drastically. As already mentioned above, the appearance of a snippet plays a vital role in grabbing users’ attention and enticing them to click the search result, making your WordPress site HTTPS-powered definitely makes sense because HTTPS is the second key thing after AMP which is clearly visible to searchers. That simply means if your WordPress site doesn’t have an SSL certificate implemented; users might ignore to click your search results due to various security reasons. Hence, consider making your site HTTPS-powered as this will not only make search result links stand out from others but also win users’ trust to click them.